PennDOT maintains roughly the same number of miles maintained by the state in New York, New Jersey, and all of the New England states combined. With the winter season approaching, Pennsylvania Governor Tom Wolf announced Oct. 19 that a new online tool is available to inform the public of Pennsylvania Department of Transportation (PennDOT) operations this winter. He made the announcement in conjunction with a news conference that PennDOT Secretary Leslie S. Richards held outlining the agency's plans for winter services, and sharing job opportunities and driver preparation tips. "Public safety is our principal mission, which drives our team's preparation for the winter season," Governor Wolf said. "Not only are PennDOT's staff, equipment and materials ready to go, but we also have yet another tool for the public to make winter travel decisions." New this winter, the public can view a color-coded map of when each of the nearly 40,000 miles of state-maintained roadway was last plowed by visiting the www.511PA.com plow trucks section. The information is the latest enhancement made possible by PennDOT's Automated Vehicle Location (AVL) technology, which uses units in each of the more than 2,200 department-owned and rented plow trucks to send a cellular signal showing truck locations. The AVL program, started in 2014, is part of Governor Wolf's GO-TIME initiative that leverages inter-agency coordination and collaboration to maximize efficiency, modernize state government operations, and provide the highest quality services. During the news conference at the PennDOT maintenance facility in Norristown, Montgomery County, Richards noted that PennDOT is actively seeking approximately 480 temporary equipment operators statewide for the winter season to supplement the department's full-time staff. Details on minimum requirements, such as possession of a CDL, as well as application information​, are available at www.employment.pa.gov. Through the same website, job seekers can apply for seven other types of non-operator, winter positions such as diesel and construction equipment mechanics, welders, clerks and more. In discussing PennDOT's readiness for the season ahead, Richards said that the department has compiled its information about winter services and winter-driving resources for motorists at www.penndot.gov/winter. The site also has a complete winter guide with detailed information about winter services in each of PennDOT's 11 engineering districts. The department maintains roughly the same number of miles maintained by the state in New York, New Jersey, and all of the New England states combined. With $220 million budgeted for this winter's statewide operations, PennDOT deploys about 4,800 on-the-road workers, has more than 652,000 tons of salt on hand across the state, and will take salt deliveries throughout the winter. 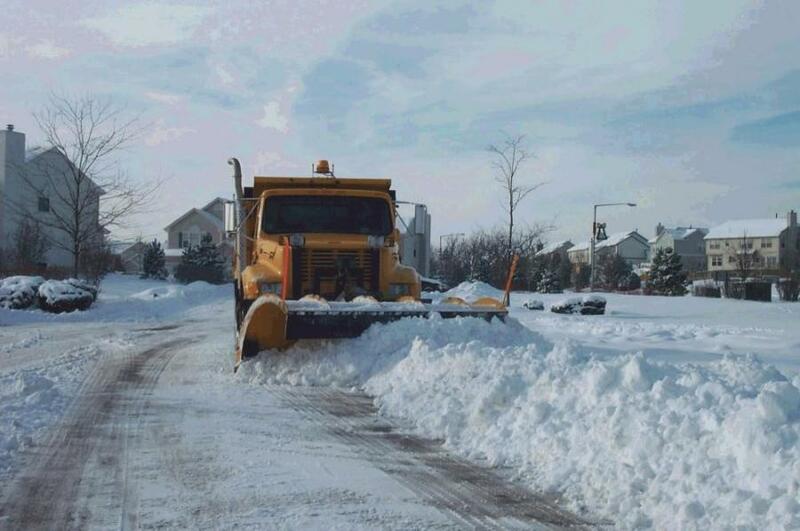 "Carrying out our winter mission is a massive undertaking for our team, and it's critical that the public do their part to keep our roads as safe as possible," Secretary Richards said. "Drivers should keep safety top of mind in their travel decisions, and give our operators and other motorists plenty of room during inclement weather." When winter weather hits, PennDOT's primary focus is on interstates and expressways, and equipment may be redirected to those routes during significant winter events. The more traffic a roadway has, the more attention it will receive from plows, so motorists may find deeper accumulations on less-traveled routes and should adjust their driving for those conditions. In addition to planning for traffic impacts, Richards noted that vehicle preparation is critical to safe winter travel. Tires should be checked often for the correct level of air pressure and adequate tire-tread depth to perform on ice and snow. A quick way to check tread depth is to insert a penny in the tread groove with Lincoln's head upside down. If you can see the entire head, the tires are worn and traction will suffer. If you live in an area prone to heavy snow, drivers may want to consider using dedicated snow tires or carrying a set of tire chains. At a minimum, all-season tires should be rated for use in mud and snow. Once vehicles are travel-ready, drivers should be prepared for winter or vehicle emergencies especially if long-distance travel is planned. PennDOT urges motorists to carry an emergency kit. An emergency kit should include items such as non-perishable food, water, first-aid supplies, warm clothes, a blanket, cellphone charger and a small snow shovel. However, motorists should tailor their kits to any specific needs that they or their families may have. Consider adding such items as baby supplies, extra medication, pet supplies, or even children's games. In addition to viewing plow information, motorists can use www.511PA.com to check conditions on more than 40,000 roadway miles, including color-coded winter conditions on 2,900 miles. 511PA, which is free and available 24 hours a day, provides traffic delay warnings, weather forecasts, traffic speed information, and access to more than 850 traffic cameras.